Alright, B2UTIES! We’ve got some good news to share! Courtesy of the organizers(@ThreeAnglesPro), Kpopnesia is giving 3 pairs of tickets to BEAST “Ordinary” Fan Meet in Singapore 2015! 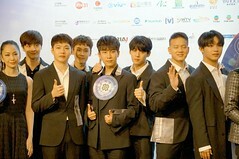 BEAST “Ordinary” Fan Meet in Singapore! 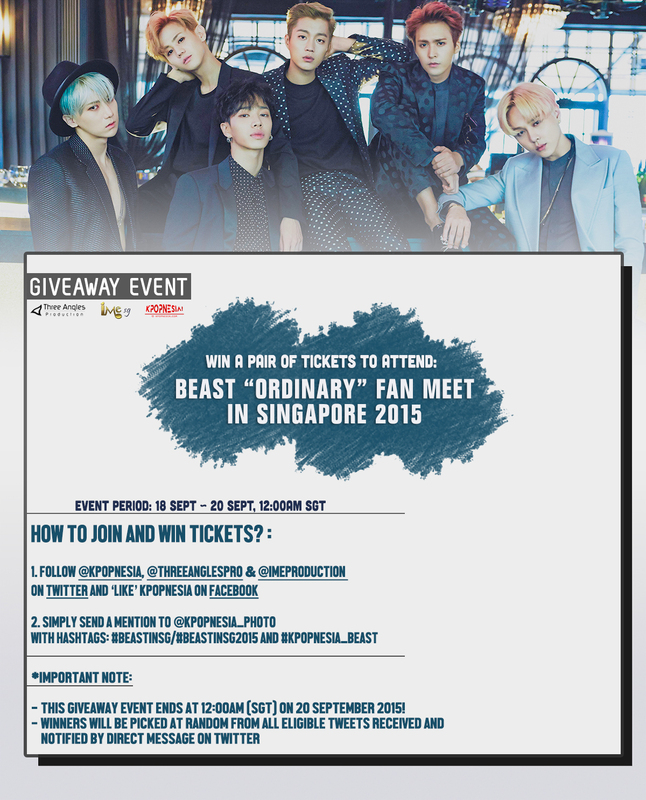 GIVEAWAY EVENT: BEAST (비스트) “Ordinary” Fan Meet in Singapore 2015 tickets! 3 Pairs! Follow @KPOPNESIA, @ThreeAnglesPro & @IMEPRODUCTION on twitter! 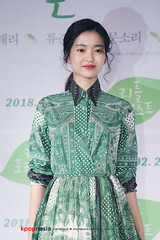 and ‘LIKE’ KPOPNESIA on Facebook! Winners will be picked at random from all eligible tweets received and notified by direct message on twitter! Each winner is required to respond to us within 4 hours after notification of winning. If the winner is unable to contact us or does not claim their prize within the time set will be forfeited, KPOPNESIA reserve the right to select another winner. KPOPNESIA is proud to be the official supporting Online Media partner for BEAST “Ordinary” Fan Meet in Singapore 2015!